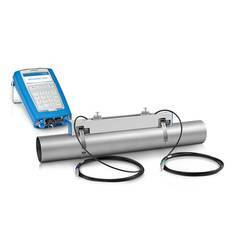 Ultrasonic flowmeters, being capable of operating from outside a pipe, are well suited to field measurements and other portable applications in industrial process measurement. Krohne, a globally recognized manufacturer of flow, pressure, temperature, level, and other instruments for process measurement and control, has produced video instructions for field installation and operation of their portable ultrasonic clamp-on flowmeter. The video is included below. Though the presentation is based upon the Krohne product, there is good general knowledge about portable ultrasonic flowmeters to be had from the video. Watch the video and build your knowledge. Share your process measurement challenges with application specialists, combining your process knowledge with their product application expertise to formulate effective solutions.